On May 3, T.E.E.S. 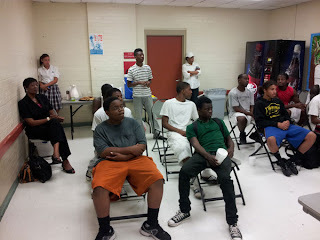 (Teens Exercising Extraordinary Success) coordinated and held a workshop presentation featuring me as the guest speaker. 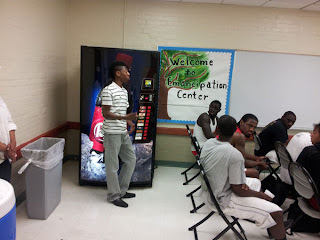 The title of my presentation was "Information Warfare; Taking Control of the Black Male and Female Image." The presentation took place at Emancipation Park Community Center in Houston’s Third Ward area. 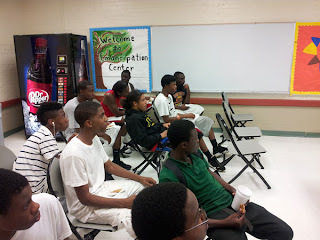 Several young men stopped playing basketball to attend the session. 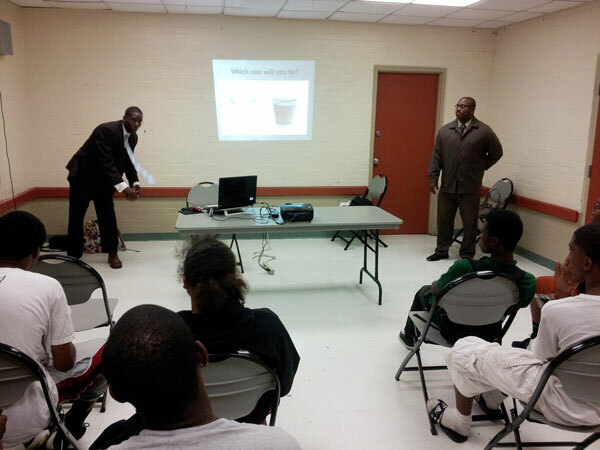 In their assessment of my presentation, the directors of T.E.E.S., said "Mr. Muhammad presented to the youth a clean and dirty glass of water, asking which one they represent. 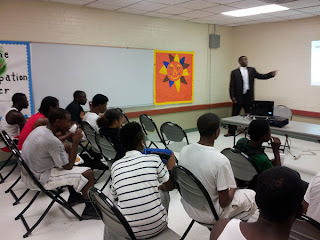 He provided the young men with statistical information on murder rates, public assistance, drop out and other misinformation that is portrayed in the media. He encouraged the young men to love themselves and not love based on what they look like or the clothes that they wear, but true deep down love of self. 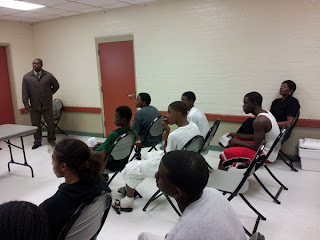 One of the young men asked if the statistical and misinformation of young black men in the media is due to class warfare or racism. Mr. Muhammad responded that it is some of both and he advised the young men that the way to combat such stereotypes is “Black Excellence”. 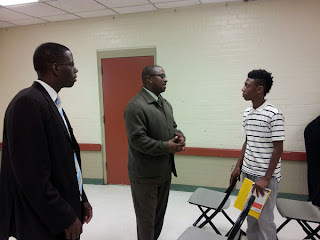 He impressed upon the young men to not allow their circumstances to define who they are and what they can become. He shared his personal story of struggle and told the attendees that he did not grow up privileged and can identify and relate to their struggle of not having a father figure." Two of the attendees received personal copies of Miami rapper, Trick Daddy’s autobiography “Tales of A Native Son” for their participation and engaging questions after the presentation. The Principal of HISD Advanced Virtual Academy stopped by to sit in on the presentation and at the conclusion, she informed the attendees about the availability of the free HISD Advanced Virtual Academy program for those who might be drop outs and/or thinking of dropping out. It was indeed a honor to be invited to speak to these young giants.